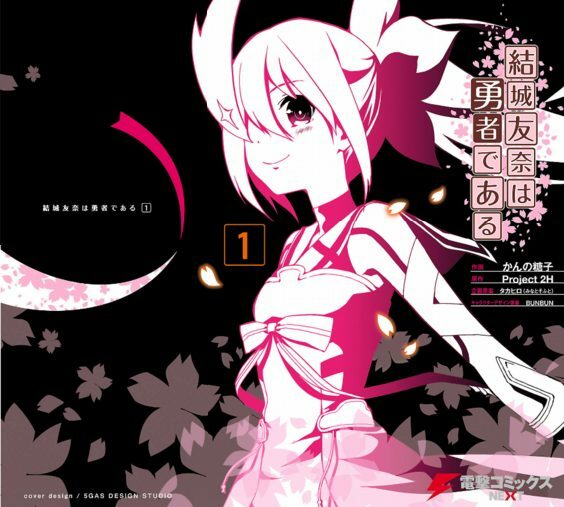 Manga Yuki Yuna is a Hero ends soon! Indeed, Kadokawa Dengeki G’s Comic magazine announced the ending of this manga adaptation on 30th of July. According to them, manga Yuki Yuna is a Hero will end in the next issue. In other words, the manga will end on the 30th of August. You may also be interested in TheBiem Weekly Anime and Manga News Roundup. Manga Yuki Yuna is a Hero ends soon! Yuki Yuna is a Hero manga is Toko Kanno’s adaptation of the Yuki Yuna wa Yusha de Aru anime. Yuki Yuna is a Hero manga has three volumes. The first volume of the manga was out on November 27th in 2014. Furthermore, the second volume was out on September 26th in 2015. Because of the Kannos health, Yuki Yuna is a Hero manga went on hiatus from September 2015th to January 2017th. Nevertheless, manga continued and the third compiled volume was out on August 26, 2017. When it comes to Yuki Yuna is a Hero anime, in the first season, the setting takes place in the year 300. In addition, this is the era of the gods. Furthermore, Yuki Yuna is the main protagonist. She is a middle schooler, but she also takes place in “Hero Club”. To sum up, members of the Hero Club deal with “Vertex”. A mysterious being.